Hulu is a website and OTT (Over-the-top) subscription service that offers ad-support as per requirement of streaming videos of movies, clips, webisodes, TV shows, trailers and footage of behind-the-scenes. It is a joint venture of Fox Broadcasting Company, Disney-ABC Television Group and NBC Universal Television Group, and Providence Equity Partners fund it. Presently, it offers videos to customers in Unites States, Japan and in overseas territories. Jason Kilar is the CEO of the organization, which is famous slogan is Anywhere, Anytime. It provides video in flash format consisting of many shows and films in 360p, 288p, 480p as well as in 720p. It even offers web syndication services to other websites. There are currently 3 consumer reviews about Hulu available. Share your review. They hide their corporate number. Too many unhappy customers? 26 people ahead of my me on their "corporate line" which is nothing more than a referral number. They can not even list the CVS #. Can you spell as_holes. lol. 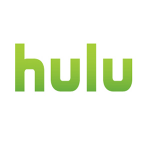 Please take a note that you are about to post a public review about Hulu corporate office on CorporateOffice.com. This review will be public, so please do not post any of your personal information on this website. If you would like to contact the corporate offices of Hulu, please use their contact information such as their phone number, website, and address listed above to contact them. However, sometimes staff from Hulu headquarters do read the reviews on this website.